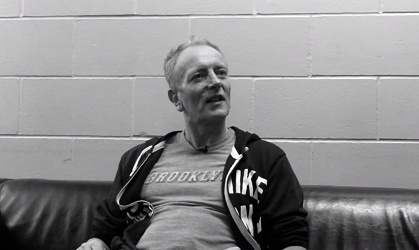 Def Leppard guitarist Phil Collen was interviewed earlier today by Indianapolis radio and talked about the 2016 tour. Phil talked about producing the next Tesla album/the new single, playing live after many years, audiences, the Rock And Roll Hall Of Fame/1999 Diamond Award, the current album/tour, music being an escape from real life, his health and fitness, and Delta Deep. Phil mentioned that the band are still inspired to play live and make music. Phil was promoting tonight's show in Noblesville, IN at Klipsch Music Center. "This tour the audiences have been rabid. They've been absolutely nuts. You know it's like a cycle. If you stick it out it just comes back. The attendances - you know we're selling out a lot of these shows. And some of these, a lot of these places we played on the Pyromania and the Hysteria tours and I can remember not selling them out on those tours." "So you've got this whole new audience. Not just the people from that generation. There's younger people as well and they're going absolutely nuts. So all of that is really inspiring and you know it just means you have to stick it out. That's the thing. We've always you know had faith in what we do. The songs and the band and especially as a live band." "As times goes on you see a lot of these other bands they start disappearing and they're not as good as they used to be. And it's a bit tired and old and that. And we're the complete opposite. We're like a 20 year old - a bunch of 20 year olds jumping around only we're playing these massive hits." "And you know we're still making new music. So it's exciting and inspiring. So I think that's what we get off on. And it's really nice to see the fans doing the same thing you know based on that concept." "Our latest album that we recorded last year, came out. Done really well. You know we were Top Five in most places around the world. And we're touring now. We're just really proud of that and we just love the fact that fans and anyone who comes to see us gets blown away. You know that's real to us. You know awards shows and stuff like that. That's a little bit like reality TV. That whole thing. It's like it's someone else's thing. We're not really that interested in all that kind of stuff." "Yeah actually - also they've got a new single coming out. There's the bonus track on their live album. So I actually done that as well. I produced it and yeah as soon as that - it turned out so well, the guys went. 'You gotta do the album'. So that's what we've been doing. We've actually been doing it on tour. And grabbing like half an hour here, half an hour there. Doing guitars backstage. And then obviously with live drums you know you have to go to a studio. We've done about nine (songs) so far. We're really along the way there. So it should be definitely done by the time we finish the tour."